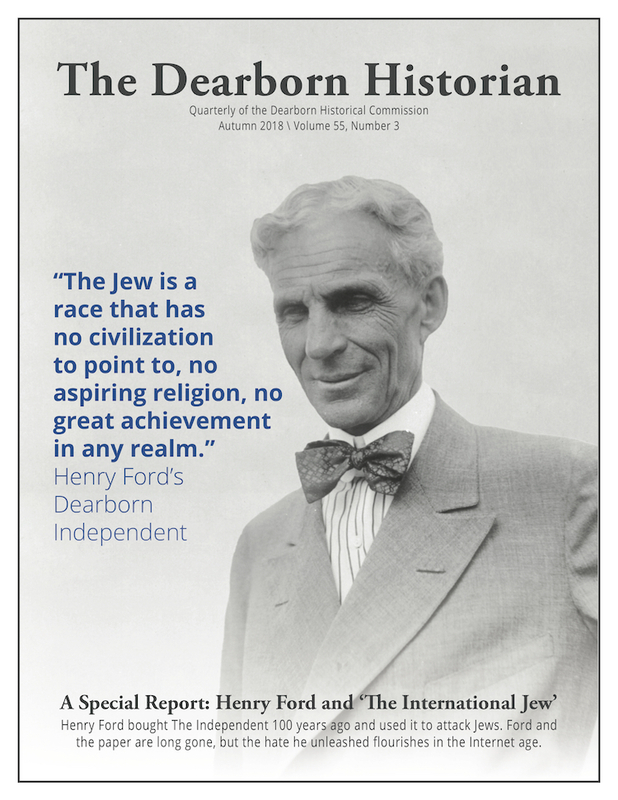 Deadline Detroit co-founder Bill McGraw stirred controversy recently when he wrote a detailed story about Henry Ford's rich history of Anti-semitism and its impact on today's hate groups. McGraw, who was the editor of the city-funded "The Dearborn Historian," published the article in the quarterly, but Dearborn Mayor Jack O’Reilly decided not to distribute it. So Deadline Detroit published it and the storm began, with articles around the country focusing on the mayor's efforts to kill the magazine issue and whitewash history. The mayor also fired McGraw. After a bit, the mayor buckled under pressure and decided to use his own money to republish the article in a booklet to be mailed to subscribers. He says that city money shouldn't be used for such works, but he sees the importance of the story. The fallout continues. A Washington Post column is headlined "Why Ford needs to grapple with its founder’s anti-Semitism." It's by Victoria Saker Woeste, a research professor in U.S. legal and constitutional history at the American Bar Foundation in Chicago and the author of "Henry Ford’s War on Jews and the Legal Battle Against Hate Speech." The magazine that wasn't distributed. 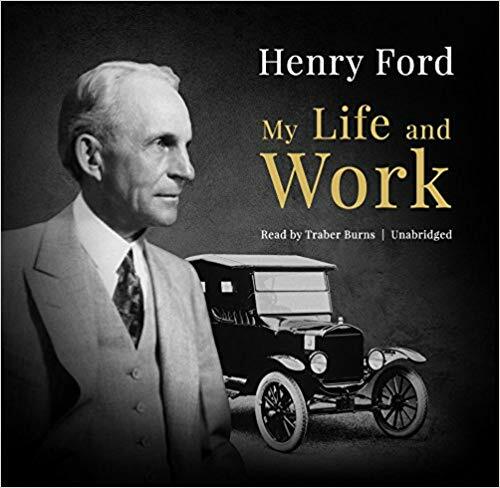 Woeste writes that the Ford Motor Co. needs to grapple with the founder's history and how it uses Henry Ford to promote itself. Ford was responsible for anti-Semitic writings read around the world. And Hitler once told a Detroit News reporter he found Ford to be an "inspiration." The Ford Motor Co. has also struggled to grapple with Ford’s anti-Semitic legacy. In 2003, Ford celebrated its centennial with a lavish ad campaign on television and online in which grainy video of its founder was prominently featured. The video evokes a nostalgic vision of America guided by the nation’s foremost captain of industry. Clad in white, Ford projected an air of principled yet determined ambition and accomplishment. Today, the company’s website is replete with the founder’s name, but his picture is curiously absent. Families love the Henry Ford Museum. In 2016, more than 1.8 million people visited. The tumult caused by O’Reilly’s poor judgment has already drawn far more attention to the Independent than the Dearborn Historian, which lacks a website, could have attracted on its own. The New York Times interviewed a recent visitor to the Ford Museum, Daniel Markey, a 76-year-old retired high school chemistry teacher from Howell, Mich., who was accompanied by his 4-year-old grandson. Markey declared that sugarcoating history is a bad idea: “What does it accomplish to pretend that this isn’t a part of Henry Ford’s story?” he asked.